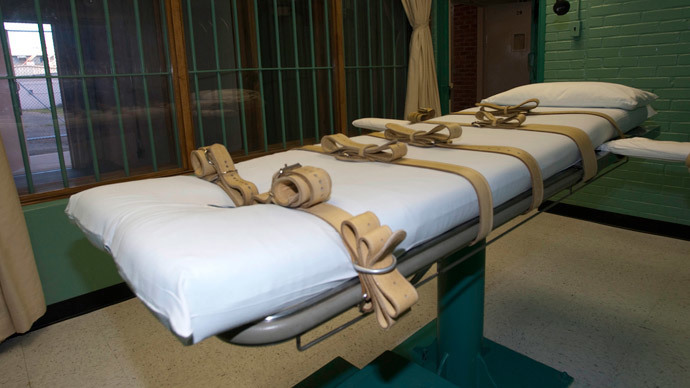 The top trade group for compounding pharmacists in the United States is urging its members to stop working with drugs that are used to carry out executions against American prisoners by way of lethal injection, according to a new report. 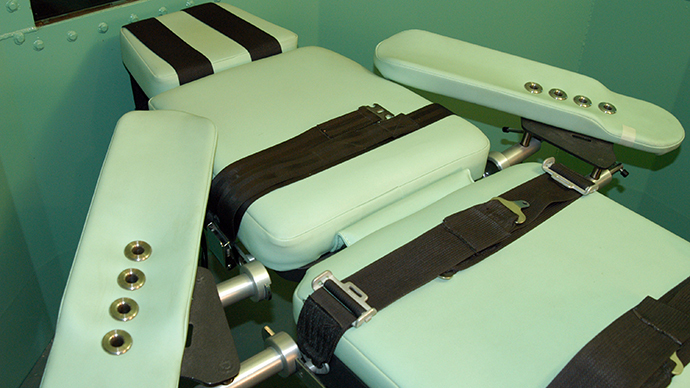 Amid mounting concerns surrounding lethal injection drugs – as well as a slew of high-profile instances of executions gone awry in recent months – the International Academy of Compounding Pharmacists (IACP) is “discouraging its members from preparing or dispensing drugs” used to execute people, according toThe Wall Street Journal. “The move reflects growing concern among some compound pharmacists that some states – in response to ongoing controversy over the supply of drugs for lethal injections – may decide to alter regulations in ways that would cause pharmacists to face legal problems,” WSJ reporter Ed Silverman wrote on Tuesday. “We have concerns about what may occur,” IACP chief executive David Miller told Silverman. 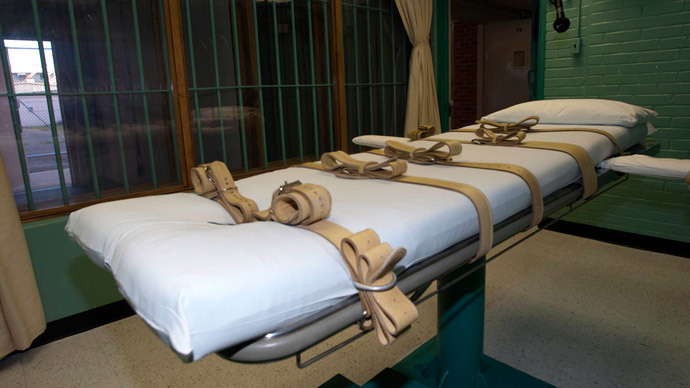 As debates rage on in the US concerning capital punishment, a new discussion has emerged in recent years upon the absence in America of certain drugs that have previously been used in the narcotic cocktails administered to death row inmates. A decade-old ban in the European Union prohibits EU nations from exporting execution drugs, and the subsequent shortage that it spawned in the US has since prompted prison officials to seek out compounding pharmacists to mix and make new sorts of cocktails to carry out death sentences. As states have rushed to ready new lethal injection recipes, however, a series of snafus have taken place. It took 43 minutes for Clayton Lockett, a convicted murderer from Oklahoma, to die from an experimental cocktail during a jailhouse execution last year, and a lawsuit filed shortly after by 21 other death row inmates alleged that the state is “engaging in a program of biological experimentation on captive and unwilling human subjects.” In January, the Supreme Court of the United States said it would review the case. Meanwhile, it may soon be even harder for corrections officials to acquire lethal narcotics if Miller’s urging is taken into consideration. The IACP represents approximately 3,700 pharmacists who compound – or mix and customize – drugs, and Silverman reported that the American Pharmacists Association, a group that represents roughly 62,000 pharmacists from coast to coast, will weigh taking a similar stance at a meeting later this week, citing an unnamed official within the trade group. Earlier this month, the first woman set to be executed in Georgia in half a century was given a reprieve after state officials cited “abundance of caution” about “cloudy” drugs used in the lethal injection cocktail they intended on using. Georgia planned to use pentobarbital – known commercially as the sedative Nembutal – which causes death by respiratory failure in sufficiently high doses. Calibrating the dose has been a challenge, however, as the compound must be combined at pharmacies specifically for the purpose. Lundbeck, the Danish company that owns the rights to the drug, banned its sale for the purpose of executions in 2013. It followed public outcry in Denmark, where the death penalty was abolished in 1930. 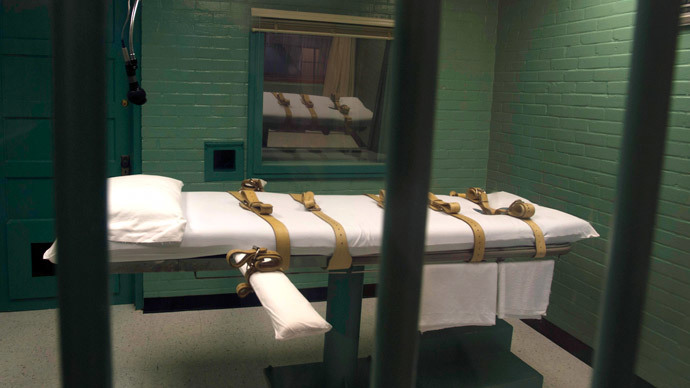 In February, US Attorney General Eric Holder said he favored a moratorium on executing prisoners until the Supreme Court can weigh in on the Oklahoma lawsuit. “There's always the possibility that mistakes will be made...it's for that reason that I am opposed to the death penalty,” Holder said. 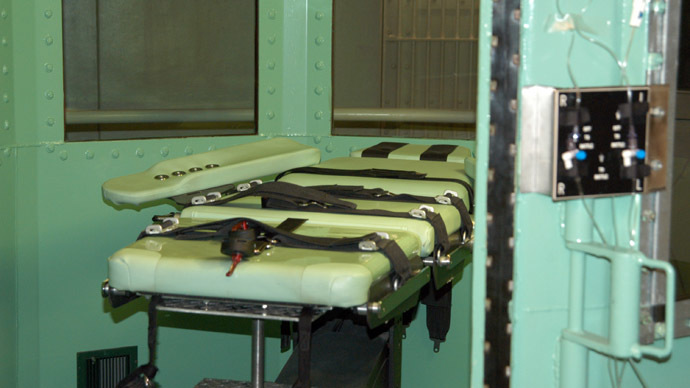 "I think fundamental questions about the death penalty need to be asked. And among them, the Supreme Court's determination as to whether or not lethal injection is consistent with our Constitution is one that ought to occur. From my perspective, I think a moratorium until the Supreme Court made that determination would be appropriate."